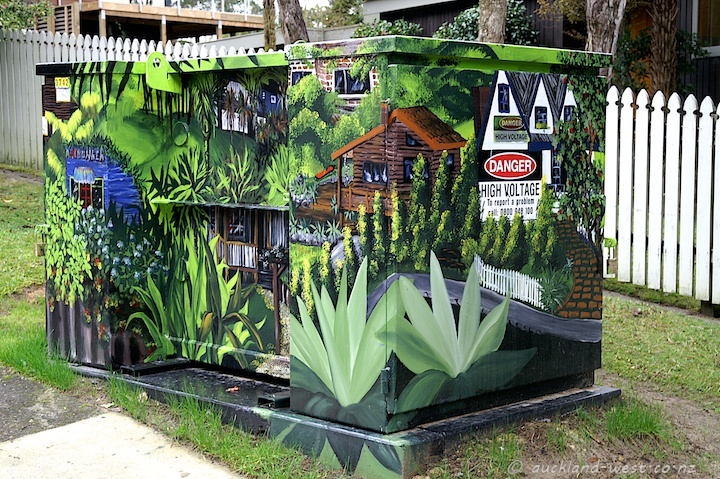 This newly painted transformer was pointed out to me by our friends Ivo and Ingwor. 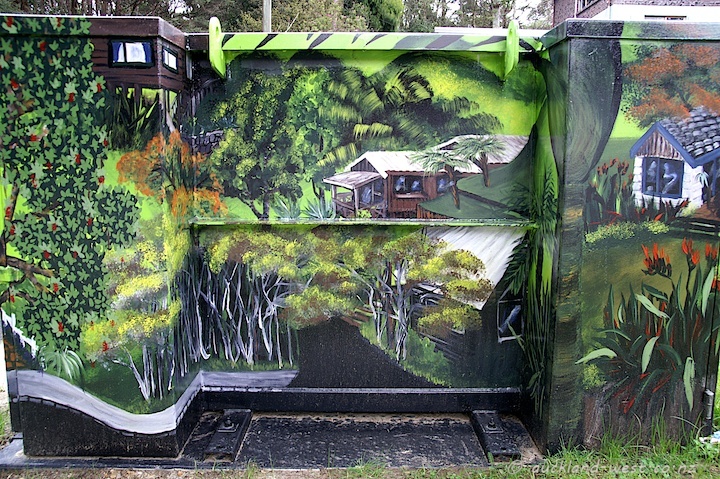 It is near the top end of Woodfern Crescent in Titirangi and depicts typical houses, gardens and the bush of the area. The painter is local artist Heathermeg who we saw on last Sunday’s post, and quite appropriately she included a glimpse of her landmark Art Bunker in the design (the blue bit on the left in the picture above). Oh I like this one! Kudos to Heathermeg.